The Ultimate Wedding Planning Party: Lisa Gowing Wedding Gowns: The Perfect Dress for your big day! Lisa Gowing Wedding Gowns: The Perfect Dress for your big day! Wedding Dress, also known as the Perfect dress, the dress which makes the bride feels a million dollars and the dress that will leave the groom thinking “I’m the luckiest man alive.” Finding this dress is probably one of the biggest challenges in a woman’s life. The type of material, the length, the cutting, the fitting should all look perfect on the bride as she glows and shines throughout her biggest day. 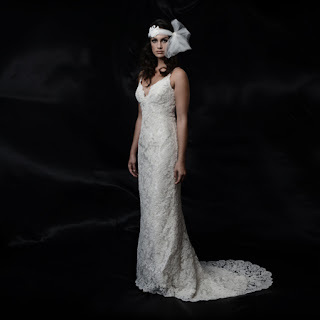 Lisa Gowing is the designer to find for your wedding as her new collection of luscious and luxurious vintage inspired gowns defines her as an industry leader in Australia which is accessible online and in her studio. Celebrating her 12th anniversary, her newest collection of demi couture gowns in Spring 2010 is inspired from the glamour in the 1920’s to 1950’s. Lisa Gowing’s designs are all hand made with pure silk as well as hand placed jewels and European lace detailing. Lisa’s ready to wear collection is all made locally by Lisa and her expert team using the famous Couture techniques as these gowns feature luxe and beautiful fabrics and feminine detailing with layers of soft silk and delicate trims with European laces. Lisa Gowing’s wedding gowns will be showcased at The Ultimate Wedding Planning Party on August the 25th as part of the fashion parades.